Cobb County has been the home of and/or produced many celebrities through the years. Off the top of my head I think of Joanne Woodward, Lash LaRue, Travis Tritt, cartoonist Mark Bagley, Cartoonist Skip Williamson, Julia Roberts, Joe South, Billy Joe Royal, and Ray Stevens…… also Ted Turner and Troy Donahue… there are more, they are just not on the top of my head. Joe South, Billy Joe Royal, and Ray Stephen were/are friends and professionally linked together. Ray Stevens is from the mill town of Clarkdale in the southwestern part of Cobb County. Clarkdale was a mill town. The mill building is no longer a mill. I heard it a mall or a maybe a flea market place. 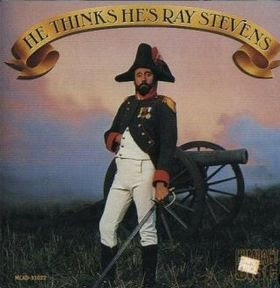 Ray Stevens put rich humor into country music. I think he really is good and has some very funny insightful songs. Here is a link to one on You-Tube. Take it away, Ray! I'll be back to listen to that after Idol is over. Don't forget Chris and Rich Robinson of The Black Crowes. I think that they went to Walton High School. At the Mable House amphitheater in 2007 we either saw The Black Crowes or The Old Crow Medicine Show - I'm not sure which - anyway, we enjoyed it. Baby – its cold outside!